10.12.2006 - Happy 5 Years, nephilim.net! Nephilim.net and its founders (Amadablam, Ash, and AmishMike) have supported the Front Line Force (frontlineforce.com) gaming community since the spring of 2001. 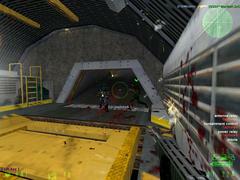 We are a primary resource for game files and custom maps. Front Line Force (FLF) is a modification of the game Half-Life. 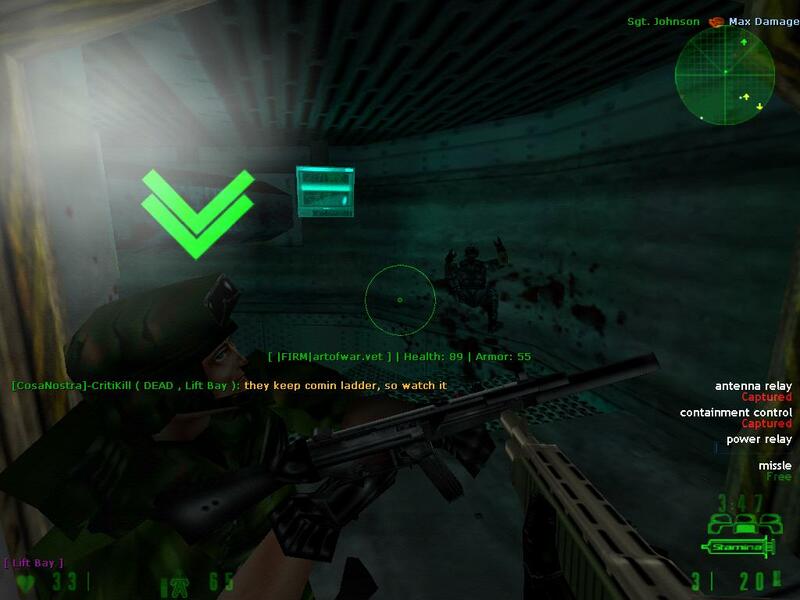 FLF is a military-style first-person shooter that combines teamwork, fast action, and simple gameplay into a very entertaining game. FLF debuted in late 2000 and is supported by a small community of players and developers. The gameplay of FLF is straightforward - the attackers "capture" points on a map, and defenders try to keep them from capturing those points. If the attackers capture all the points, they win. If they don't, the defenders win. Teams alternate attacking and defending until the map timelimit is reached. There are three classes of players in FLF - recon, assault, and support. Recons run faster, capture points faster, and die faster than any other class. They are the only class that can choose sniper rifles. Assaults are the best all-around class, complete with powerful rifles, average speed, and average armor. Supports can carry heavy machine guns and are very well armored, but are very slow, both when running and capturing points. The key to winning in FLF is teamwork. 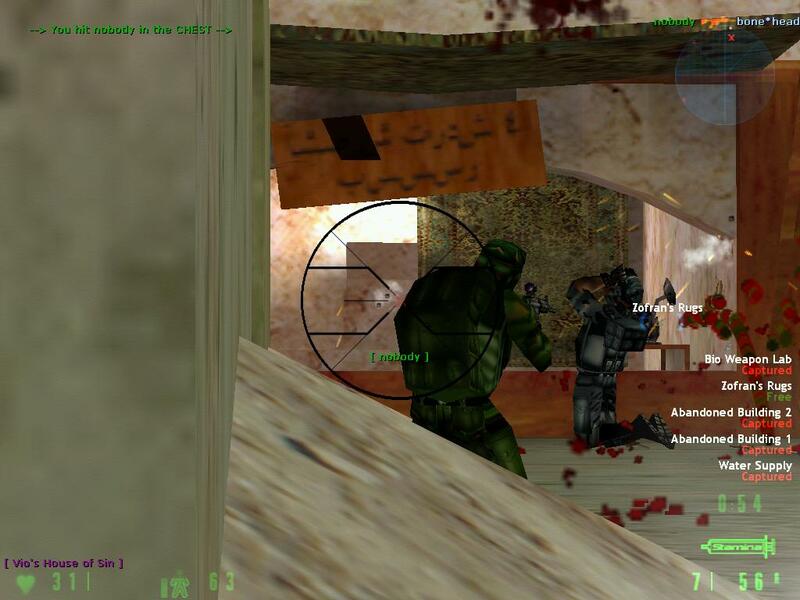 A team needs plenty of assaults to do most of the damage, a support or two to aggressively take and hold certain positions on a map, and recons to capture points and provide an element of surprise. Teams must coordinate their assaults and defenses, either by concentrating their efforts on one capture point at a time, or by separating and going for multiple capture points at the same time. 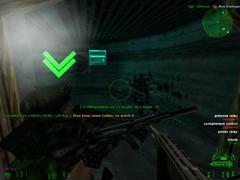 FLF is programmed to reward teamwork - your health and accuracy are improved when near teammates. 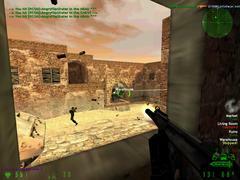 Nephilim began as one of the most powerful and popular FLF game servers early in 2001. We had a pretty good run of things - #1 server on the CLQ (when that mattered), 28-player superscrims, custom maps, anti-cheat, exciting (and controversial) league matches, and a lot of fun on many a late night. 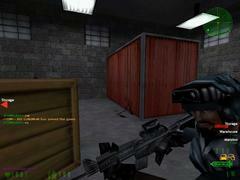 Due to a declining player base and lack of use the Nephilim game server was shut down in the spring of 2003. The nephilim.net website was launched to help support the play of custom maps on the Nephilim game server. 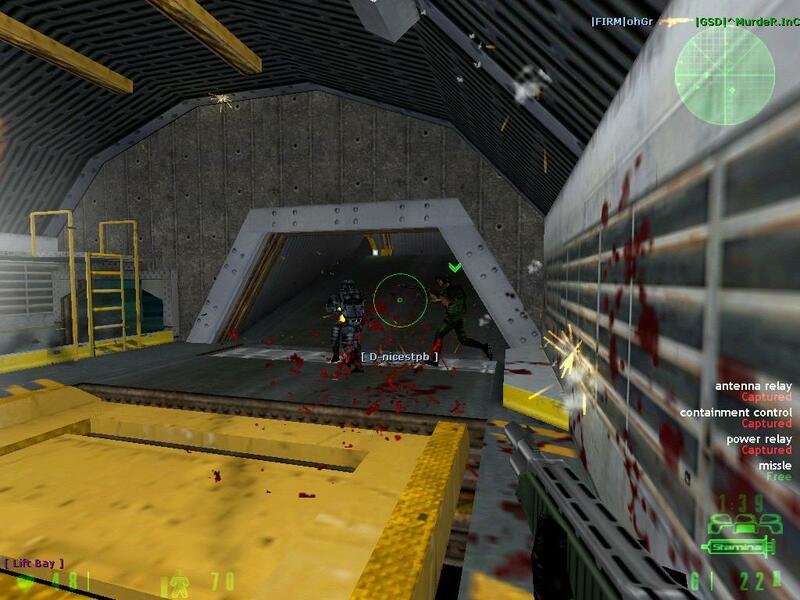 We have taken care to test every custom map offered here and repackage them as self-extracting zip archives. While nephilim.net may someday grow into something bigger, for now it remains dedicated to the FLF community. Ash began playing FLF shortly after its release in the fall of 2000 and was responsible for bringing Amadablam and AmishMike into the FLF community and driving the creation of the Nephilim game server and nephilim.net. A long-time computer gamer, Ash was among FLF's best players during the game's peak years. Ash was involved in all aspects of the Nephilim game and web presence, including using FLF as a research platform for robotic artificial intelligence through teamwork-capable player bots. Amadablam was new to FLF and computer gaming in general when he began playing in December of 2000. While he gradually established himself as one of FLF's better recons, his connection to the FLF community went well beyond his play. Amadablam is the primary developer and maintainer of nephilim.net, including the collection, testing, and packaging of the custom maps. Amadablam also served as the co-administrator of the STA-FLF league (North America's primary FLF league) during the first half of 2002. AmishMike may have been the least-known Nephilim admin, but without him the Nephilim game server probably would have never existed. Most of AmishMike's work was behind-the-scenes, installing server updates, maintaining security, and just plain making things work. AmishMike also wrote a comprehensive stats package, FaLsiFy, that unfortunately came too late to help revive a declining FLF community. Thanks to others who have made it possible: "Sweet-Ums", "Look! It's a flying rock! ", "Boo-Boo", and the FLF community.